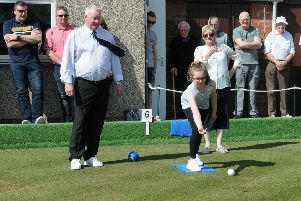 Kelso Games are set to take place at Poynder Park on Sunday and it’s a Borders open athletic meeting with a difference, writes John Slorance. The main races of the day are the 1,600m and 200m handicaps instead of the normal sprint. The mile, for which prize money has been boosted for this year only by the sponsorship of former runner Johnnie Gilmour, has the biggest winning purse of the programme. Borders athletes running from back positions are Thomas Oxton, Kobe Stevens and Rory Anderson. The trio compete from the same mark of 70m. Bruce Hughes (100m), Dean Whiteford (115m), Jordan Taylor (125m), Andrew Thomson (125m), Mark Young (150m), Derek Scott (230m) and Alistair Laurie (355m) are the other local athletes bidding for glory. Back marker for the 200m is Hawick flyer Dylan Ali, who has been placed on the scratch mark by handicapper Don Campbell. A full card of senior and youth events completes the Kelso bill.